In the summertime, flies come out in droves and are one of the most difficult pests to keep away. There are thousands of species of flies and any one of them is capable of spreading disease and bacteria to living hosts. It is important for you to know the type of pest you are dealing with and how to properly protect your home from further fly infestations. These include House Flies, Bottle Flies, Soldier Flies and Flesh Flies. These pests lay eggs on garbage, manure and carcasses, making it very capable for them to transfer bacteria to living hosts. Simple, short-term treatment for these pests include fly traps and baits, though they will not keep them out. These include Fruit Flies, Drain Flies, Phorid Flies and Fungus Gnats. These are usually found indoors around kitchen prep areas and drains. They prefer to feed and lay eggs on rotten food, garbage, manure and any area with an excess amount of moisture. This includes areas with high vegetation. These include Cluster Flies, Stable Flies, Flesh Flies and Mosquitoes. While these pests breed on animal waste and decaying organic matter, they feed off of living hosts. 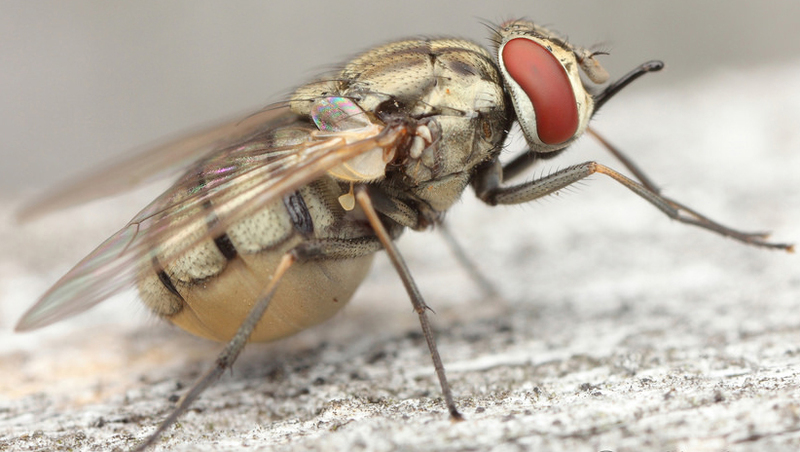 Producing a painful bite, these flies are capable of transferring viruses to both animals and humans. Ensure that all windows and doors are sealed with screens or netting, and check for any cracks along the edges. Re-grout tiling in kitchens and bathrooms to reduce harborage and moisture. Make sure the lids of all garbage bins and dumpsters are sealed and cleaned regularly. Sometimes, flies may enter a residence through the vents. Check the filters, frames and shafts for any cracks or openings that may allow entry. Flies enter a property to evade heat or search for food & water. Eliminating these options will greatly improve conditions of any infestation. Have drains cleaned and emptied to reduce build up. Re-grout tiling in kitchens and bathrooms to reduce leakage. Water plants only as needed and refrain from keeping water bowls for pets out over night. Many flies feed and lay eggs on rotten food sources, so inspect cabinets, drawers, pantries and garbage bins for any food that may have rotted. These sources invite pests into the house and allow them to multiply. Remove the source from the property and sanitize the area. Flies can also attack food left out on counter tops. Throw out any infested foods and seal other products in air-tight containers. Wipe down counter tops with soap and water, sweep & mop hardwood flooring, clean garbage bins & dumpsters, and wash dishes regularly. Syrup and stains on fabrics and floors attract flies as well. Drains must be emptied and cleaned to reduce build up. For Drain Flies, it may be recommended to pour an ounce of bleach down the drains each night. This will clean the area and keep the pests away. When all else fails, electronic traps and sticky traps are viable options for short-term results. Baits can also be applied to kill off infestations, but applications must be monitored on a regular basis. 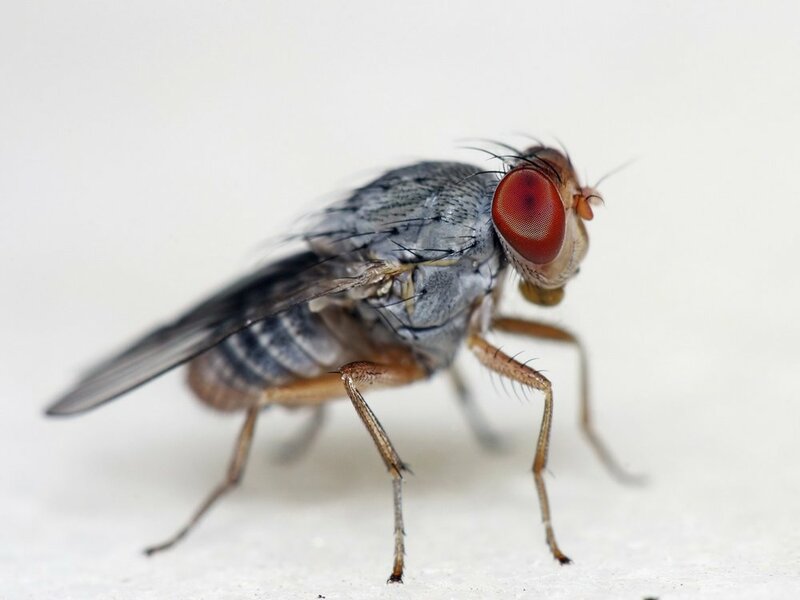 There are some of the best ways to keep a fly infestation under control but it can often fall short of eliminating the problem or even reducing it to a manageable level. At UnBug Me Pest control, we specialize in fly treatments that will help you take back your home or business from these unwanted pests. Give us a call at (818) 510-0629 today or click the link below to schedule your fly treatment. In the summertime, flies come out in droves and are one of the most difficult pests to keep away. There are thousands of species of flies and any one of them is capable of spreading disease and bacteria to living hosts. That’s why it is important for you to properly protect your home/business from fly infestations. A residual type product application on previous identified problem areas, the use of dust on cracks and crevices where flies might it placed egg, an oil base product for a fast fly control, placement of flies bait stations ( when need it and recommended by a licensed technician) for longer residual, This product and treatment is also labeled to work for general pests (ants, roaches, spider, earwigs, crickets). At the time of purchased treatment a detailed report with the causes or conditions found will be provided with a recommendation to prevent any future infestation by a professional licensed technician.